Crack the Case is an annual case competition on Social Impact cases. This year, it will take place from May 1-3, 2019 at Kurhotel Skodsborg. 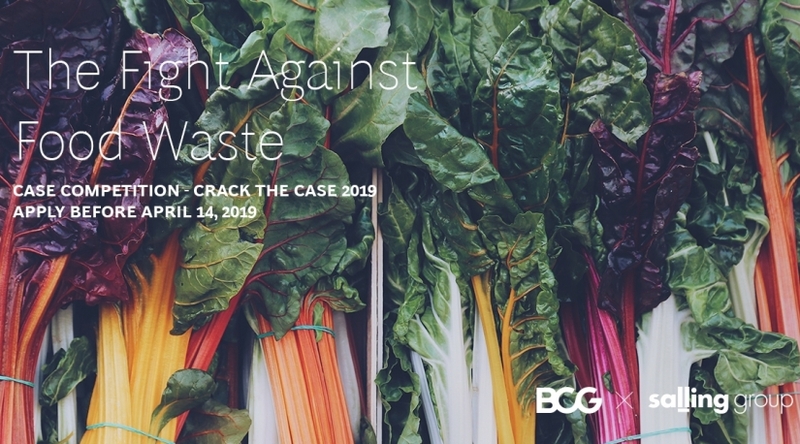 During the case competition, you will work in groups consisting of 4-5 persons, where you will solve a real-life case for Salling Group on Food Loss and Waste. The last day you will present your solution in front of a panel of judges. The winning group will have the opportunity to present their findings to the leadership team of Salling Group. At the end of the event, a selected number of students will be offered a paid six week-internship with BCG Copenhagen. The timing of the potential internship will be accommodated to your studies. During the 3-day case competition, you will be coached by BCG consultants and provided with BCG tools and techniques to help you solve the case. In between all the hard work, we will have lots of fun, enjoy cozy dinners and team activities and celebrate 3 days of hard work with a big party in the city on Friday! This event is a fantastic opportunity for you to make an impact, expand your network and get a true feeling of what it takes to be a Management Consultant with BCG. We welcome applications from top students enrolled in all fields of study with outstanding academic records, intellectual curiosity, and great ambition. Please send your application before April 14, 2019.